I got my first guitar on my fourth birthday, it was a small 3/4 size classical guitar. I became obsessed with it and spent hours in my bedroom learning to play with the help of a chord book. My first electric guitar was a ‘Hondo II’ Les Paul copy, I was given this on my eighth birthday. 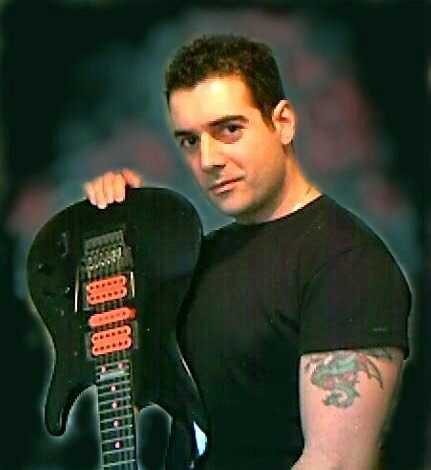 I started to play in bands when I was ten years old, and it was around this time that I started to experiment with rock music, and became interested in tube amps, etc. It was around this time that I started to incorporate more scales and arpeggio patterns into my playing style. The first record I ever bought was a single, The Beatles’ ‘Help’. I think I was about five or six years old. I used to watch ‘The Beatles’ cartoon every Saturday morning, and would listen intensely to the music and George Harrison’s playing. I have numerous influences… My favourite guitarist of all time is Al Di Meola, but other players that have influenced me along the way are (in no particular order) Edward Van Halen, Matthias Jabs & Rudolph Shenker, Steve Stevens, and many more that I can’t think of right now! I was strongly influenced by classical music too, there were/are numerous musicians in the family (mostly classical) and quite often I would borrow my Mother’s Bach, Schubert and Beethoven records and copy the violin or piano parts on the guitar. The three composers I’ve just mentioned would also be included high in my influences list. I like art very much, in particular 17th Century Old Masters, I like painting when I have time. I also enjoy travelling to far away places and seeing the natural beauty of this sometimes strange world we live in. Movies can inspire me, especially those with good soundtracks and cinematography. I enjoy reading too, but haven’t had time to settle into a good book for quite some time. 5. What gear did you use to make Entranced? Well, I’ll try and list everything… Guitar-wise, I used The Ripper (pet name for my custom Ibanez S-type :-)) for all the electric guitars, my Alhambra Spanish classical for all the nylon string work and my Ovation for the acoustic steel string stuff. I used my no-name bass guitar loaded with EMG’s for all the bass lines and my Yamaha SY85 for the keyboards. The real drum samples from BetaMonkey were loaded into my FL Studio Producer Edition computer based sequencer and programmed manually. The amp used was a Peavey Classic 30. I used a Boss DS-1 distortion pedal and a Boss Compressor pedal. Reverbs used were from my TC-Electronic M-One and Lexicon Pantheon Suite. I use D’Addario XL’s (9-42) for The Ripper, D’Addario Pro-Arte hard tension strings for the Alhambra and Ernie Ball ‘Earthwood’ Rock & Blues 10’s for the Ovation. I use Dunlop Jazz III XL picks. In the studio, the software and hardware I use is: Cakewalk’s Sonar 4 Producer Edition, T-Racks 24, FL Studio Producer Edition, Creative WaveStudio, Creative Soundblaster Audigy ZS Platinum Pro, Behringer mixing desk, Sure SM-57’s, Yamaha and M-Audio monitors, custom built computer system (2 gig DDR, 160 gig internal drive, 300 gig external drive, AMD 3500 64 bit Athlon processor, Abit uGURU motherboard) and there’s probably more stuff I’ve accidentally missed out. 6. 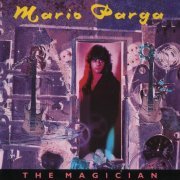 How has your playing changed since making the late 80s / early 90s underground classics such as The Magician? Quite a lot. That’s not to say that I don’t ‘shred’ anymore, I still do, but in context. We all mature as musicians, and the things that appealed to me back in the 80’s and 90’s don’t anymore. I now prefer to concentrate on composition rather than just playing a load of fast licks; in fact, I published an article on this subject on the discussion forum on my website. 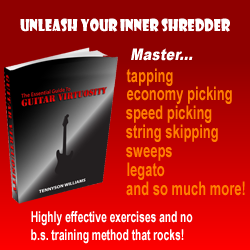 You’ll notice my guitar sound is much cleaner and clearer than that on some earlier recordings. It’s just a case of me getting older and (hopefully!) wiser. My style is still based around alternate and sweep-picking. Well, I haven’t gigged with a band since touring with Cozy Powell. The last gig we did was (I think) in February 1993. Since then, I’ve done a few guitar demonstration/clinic-type things, but I dissapeared from the music scene for a few years having become completely disillusioned with it. Following the release of my new album Entranced, I’ll start to promote it by playing a few small shows throughout Europe and the US. I’ll publish all the dates on my website. Yes, I’ve formed an acoustic guitar duo with Milan Polak called ‘MP2’. We’ll start work on an album towards the end of September to be released through Liquid Note Records. It will feature lots of acoustic ‘shred’ as well as some chilled-out stuff 🙂 We have a webpage on my site that will be kept updated nearer to the time of release. I’m sure we’re going to play a few venues together, so I’ll keep everyone posted with tour dates.